The business casual dress code is a challenging one with which both men and women struggle for very different reasons. If there’s a pair that have caught your eye, simply use the links above to jump ahead. We will also provide a solid overview of the criteria that defines business casual. Don’t have time to read through each of the reviews below? Use the Quick Buy Guide below to shop right away! 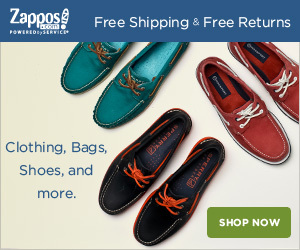 Alternatively, scroll down to read about each of the shoes and their features. What Are The Best Business Casual Shoes & Boots For Men? Understated yet elegant, penny loafers are a slip-on shoe with a strap across the instep. They’re the perfect choice for casual trousers in a business environment. We tried the Allen Edmonds Addisons and fell in love with their Dainite soles, quality and comfort. There’s no better combination than penny loafers paired with jeans, an open-collar shirt and sport coat. There’s something effortlessly elegant about the whole combination that exudes European confidence. 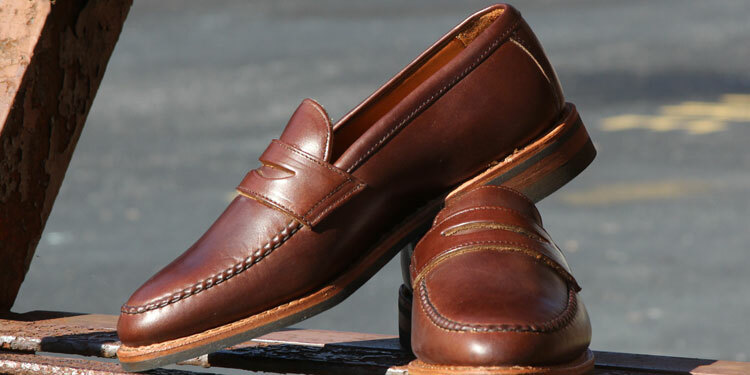 Penny loafers are usually available in various shades of brown. Whilst the Addisons are mid-brown, you could also find burgundy and tans. However, we wouldn’t recommend black loafers as the colour is too dressy for the style. Recognised by their iconic tassels hanging from the vamp, these loafers are a more decorative and eccentric choice over penny loafers. We’re particularly fond of this version made by G.H. Bass, which embodies the classic style down to every detail with a quality finish. With their distinctive ornamentation, tassel loafers are too formal for normal casual wear. Meanwhile, they’re too outgoing for more formal attire. Therefore, they’re right at home in the business casual department and look fantastic even with jeans as long as you sport a shirt and blazer to back them up! Although also available in black, we find that the burgundy finish is a much more appropriate choice for this shoe. Black will be too formal and dressy, which will then be hard to wear in the right circumstances. Therefore, burgundy and browns are the best way to go. There are many brogues to choose from with a wide variety of embellishments and ornamentation. However, we’re fans of the Bryson Wingtips by Johnston & Murphy for the casual style which utilizes pebbled leather along with a distressed finish for a vintage look. Brogues are wonderfully versatile and can complement more formal styles for a rustic look. When dressing business casual, brogues like these work well with a number of different trousers from wool to chinos as well as jeans. Reveal your inner country gent and get creative! 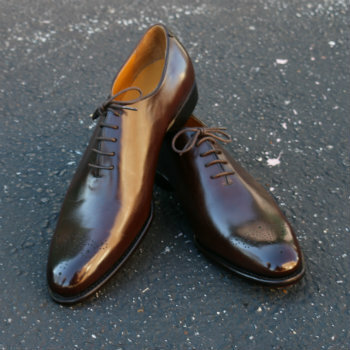 Although traditionally brown, it’s not uncommon to find debonair brogues that venture into reds, blues and even purple. If these are to be your first brogues, play it safe with a medium brown. Otherwise, you could always try a tan or burgundy finish. 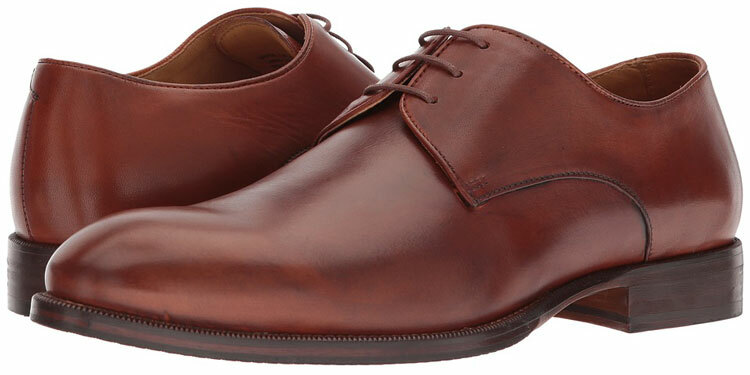 Derbies or Bluchers are the quintessential semi-formal leather shoe. Recognised by their open throat laces, they’re very versatile. We love these derbies from Vince Camuto that have loyally recreated the perfect Derby-style shoe in its most simplistic style. Being very versatile, Bluchers can be worn across a broad spectrum of environments. In fact, they’re even wearable with a suit in a business professional setting. Nevertheless, what’s great is that they can be paired with jeans or chinos for a more business casual look. 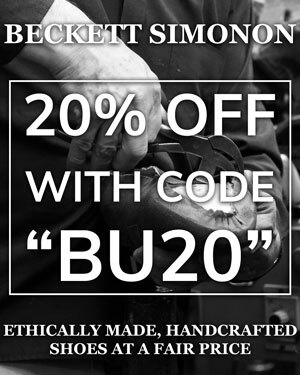 Whilst you can find bluchers in many different colours, brown is the most traditional and easiest to find. We’d actually suggest that you grab your first pair in brown so they can be worn with almost anything. However, black is fine too but will be too dressy for casual use. An elegant and convenient dressy boot is the Chelsea, which became famous during the 1960s thanks to the Beatles. 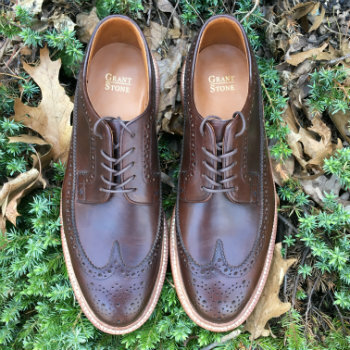 We’re particularly fond of those made by Allen Edmonds and the Tate model offers a classic yet slightly modernised approach to the iconic boot. As they’re quite sleek yet unconventional, Chelsea boots bridge a gap between formal and casual. Therefore, they look great paired with jeans and a sport jacket or even chinos with an open-collar shirt. Although suede is available, it’s a much more casual option. We feel that going into deep browns is a much more versatile choice that effortlessly integrates into business casual attire. How Do We Define Business Casual Shoes? As mentioned in the introduction business casual is a dress code that’s hard to define in precise terms. In fact, it’s easy to get it wrong and find yourself either too casual or too formal. Fortunately, we have an extensive guide covering the business casual dress code. In terms of footwear, there’s actually a look that you can choose from. You’ll have noticed that the list above features derbies, which are a casual alternative to Oxfords and Balmoral shoes. There are also Norwegians, which are moccasins with a very similar design. 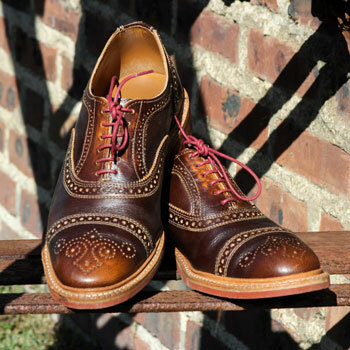 Similarly, there are brogues, which can feature decorative medallions, pinking, and perforations. Like the visually-similar Longwings, this makes them perfect business casual shoes. Their structure gives them enough dressiness for the workplace, but their ornate decorations make them a bit more casual than a plain shoe (though they are indeed a touch fancier). Alternatively, you can choose from a variety of slip-on shoes such as classic penny loafers or even the dressier bit and tassel loafers. The former features a metal link on the throat whilst the latter are an Ivy League style like those by GH Bass above. Otherwise, you could choose among the many boot options. For instance, we’ve covered a Chelsea in the list above but Chukkas and Jodhpur boots are both great choices too. Pebbled leather: Pebbled leather looks like it has, well, pebbles on it. While smooth leather is of course appropriate, pebbled leather has a certain casual vibe to it that fits perfectly in a business casual office. Suede: Also known as “reverse calf,” suede is the nappy underside of a cow’s skin. It often makes for a more comfortable shoe due to its softness and pliability, but it also has a more casual air about it that makes it well suited to the office when you’re not wearing a suit. Patent Leather: Patent leather is great for tuxedo shoes and women’s wallets. It has no place on your feet at the office as it’s far too formal. This applies even if you were to wear a suit every day. Exotic Skins: While you might be able to get away with it in some contexts, shoes made of alligator, ostrich, stingray, crocodile, or any other exotic leather are generally a bit much for the office and can be more distracting than anything else. Brown: Medium to dark brown in autumn and winter, light-to-medium brown in spring and summer, brown shoes should be a staple of the business casual shoe wardrobe. Note that a chocolate suede blucher is one of the most stylish shoes a man can own, so make it a point to seek out such a pair. Brown shoes go with anything but black. Burgundy: This reddish-brown tone, also known as cordovan, is an excellent option for business casual offices. Pair them with grey or navy trousers for maximum effect. Tan: In spring and summer, tan shoes are unbeatable, especially in natty shoe styles like double monkstraps. They are a smash with blue trousers in particular. Black: No one will be offended if you wear black shoes with the average business casual ensemble. It’s likely that no one will be excited about it, either. Black shoes will get you in and out of the office in a very incognito way, so it doesn’t hurt to have a couple of pairs of basic black shoes in your rotation. Darker Non-Standard Colors: Deep tones like plum and forest green can work for business casual environments. You will want to be sure that your office skews casual as opposed to business, so give it a few weeks at least before you throw on your purple suede loafers. Bright Non-Standard Colors: Unless you work for a style magazine that would be into such things (ahem), it’s best to avoid wearing brightly-colored shoes like fire engine red, electric blue, yellow, and the like. They run the risk of distracting your co-workers and looking unprofessional. If you’re going to get called into HR for something, it should be for an interview for a promotion, not to get you sent home for your crazy shoes. Business casual can be a confusing dress code, but even if you get only two or three shoes that we mention above, you’ll be properly dressed from the ankles down for any situation. Reviewed by Joachim Q., on 19th September . "The perfect shoes. I discovered just the right balance between casual and formal with this guide"